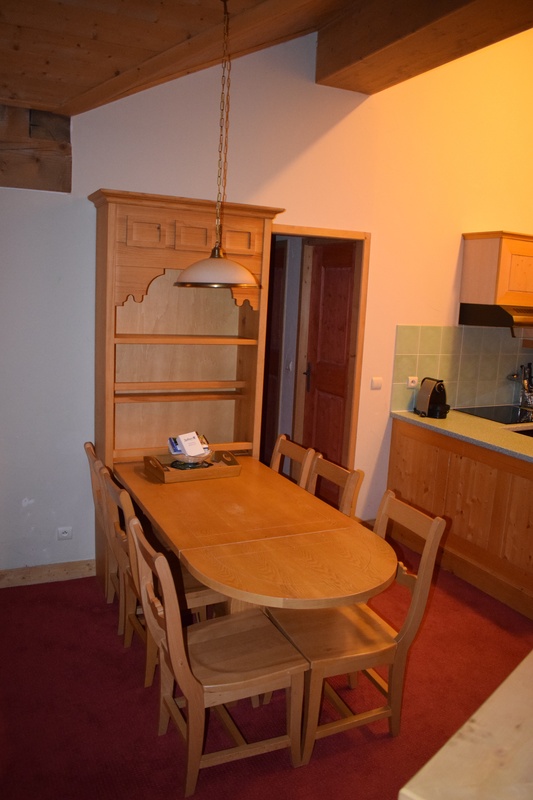 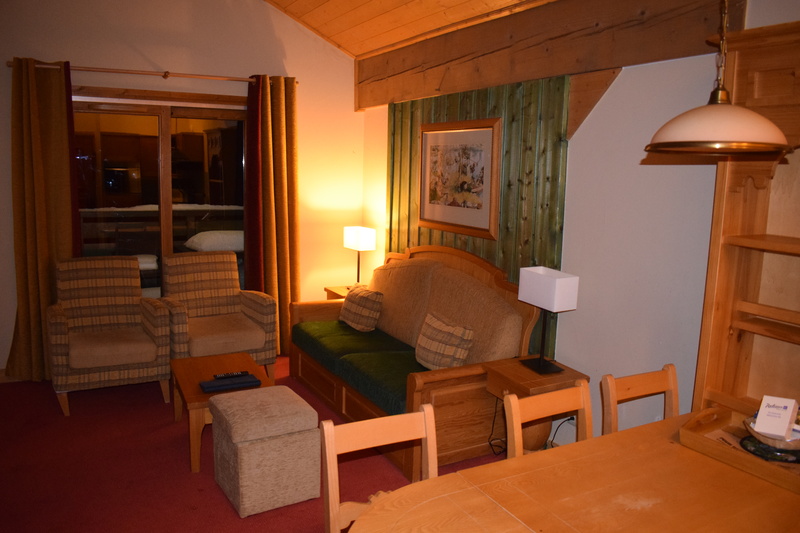 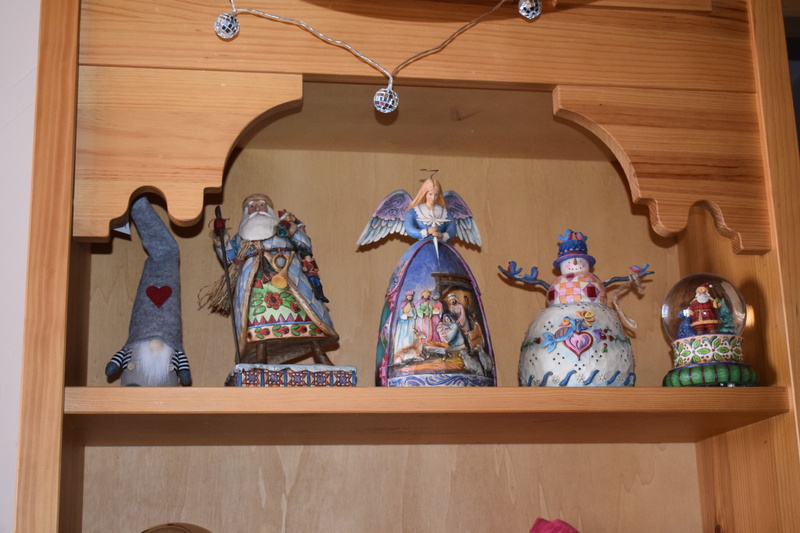 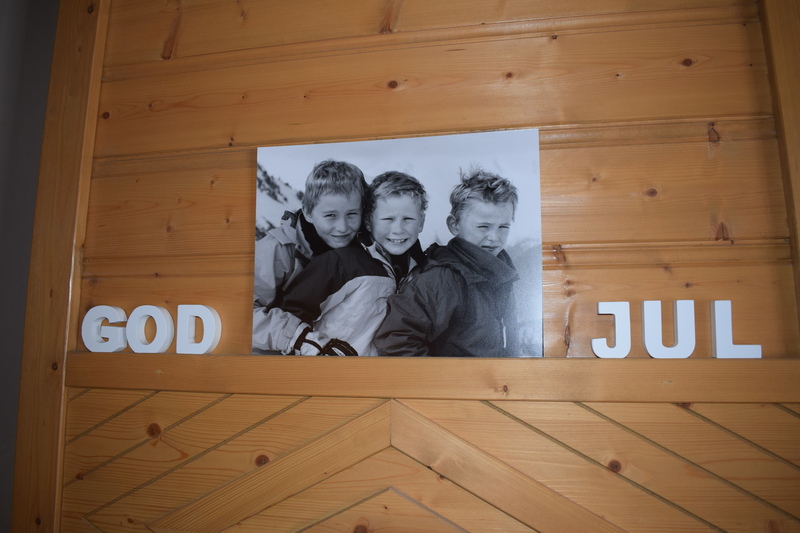 Alex, Ann, George, Tom & Alex welcome you to our high altitude ski in/ski out home in the French Alps in Source De Marie, Le Village, Arcs 1950 which has been in the family since it was built in 2006. 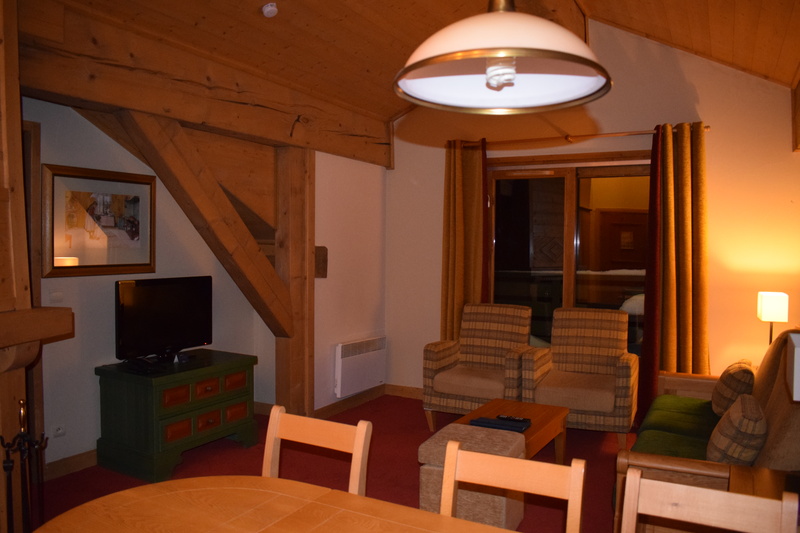 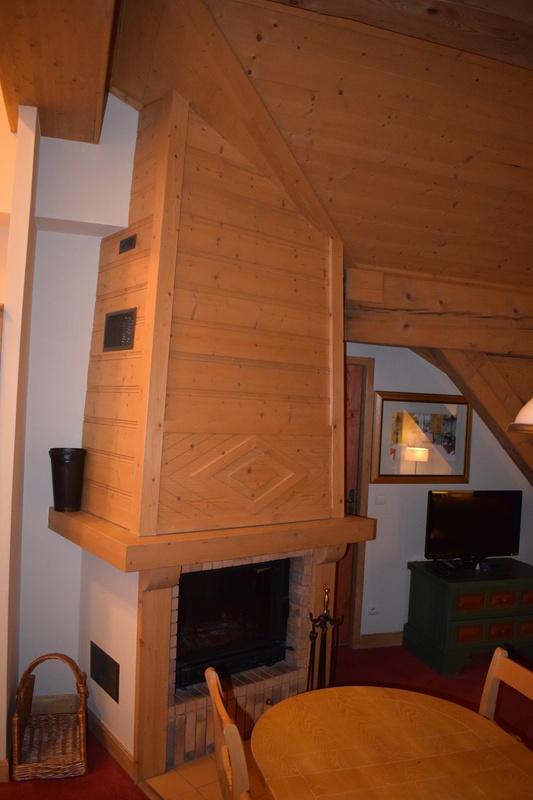 Our 2 bedroom apartment is on the top floor of the building, Source de Marie, with high ceilings and beams and a fireplace for cozy nights. 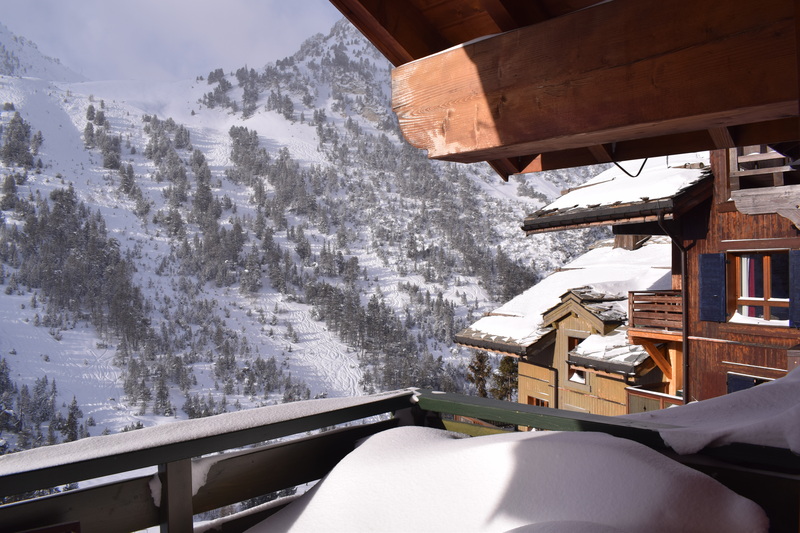 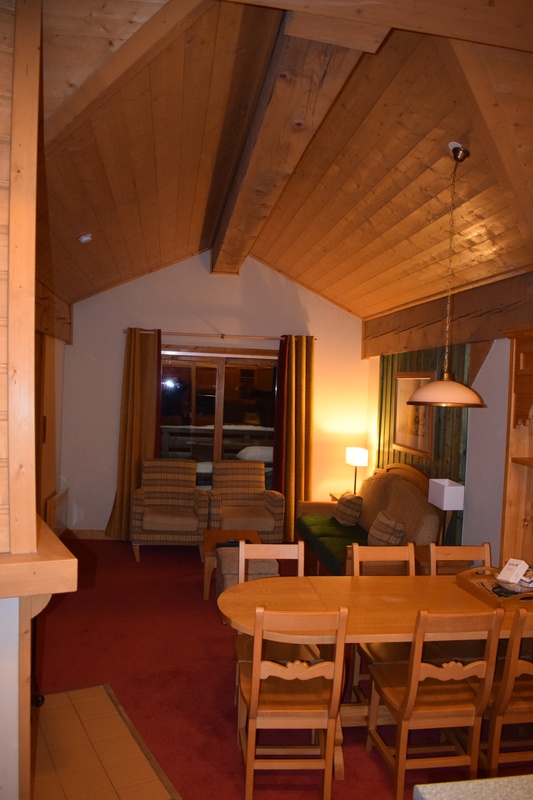 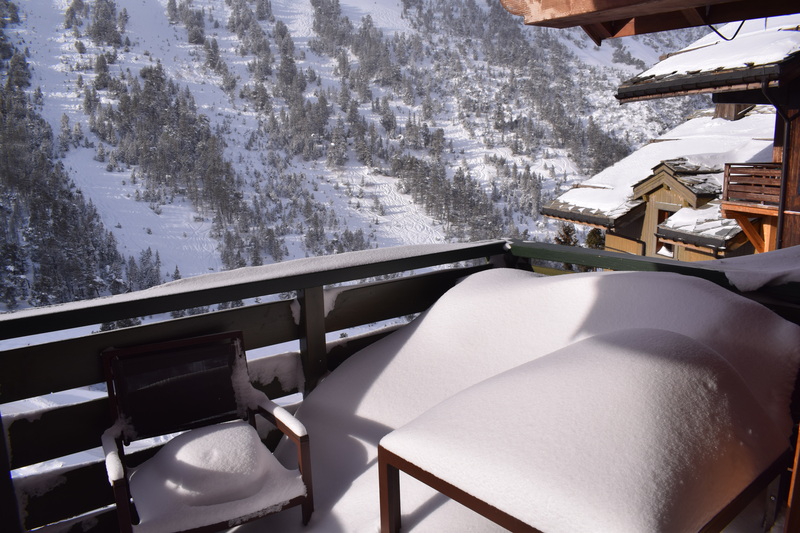 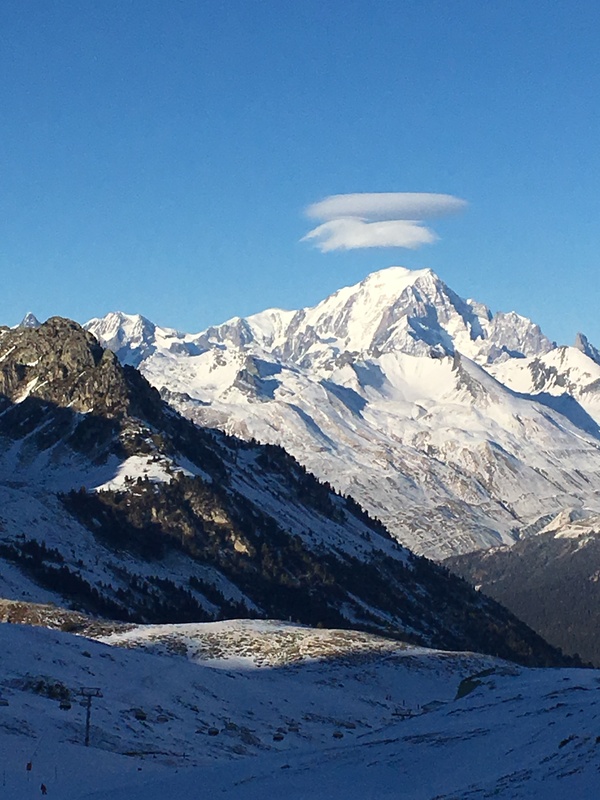 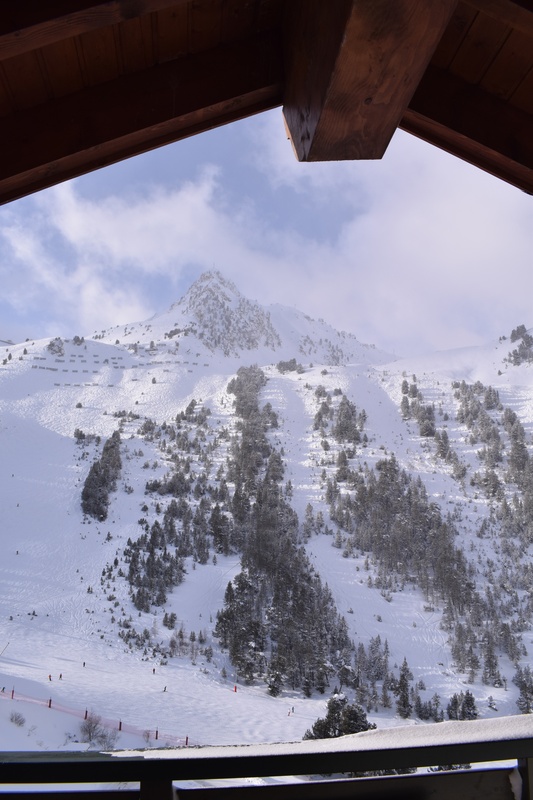 It overlooks the mountains with glorious views towards Bois De L’Ours and the Paradiski ski area. 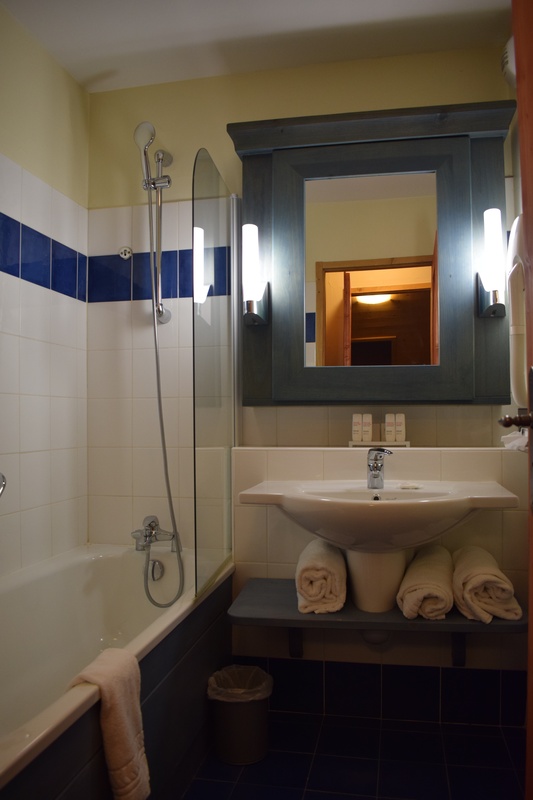 Our apartment has two bedrooms, a large open living room with high ceilings, dining table, and a well equipped open plan kitchen, as well a bathroom (with bath and shower), a separate toilet and balcony. 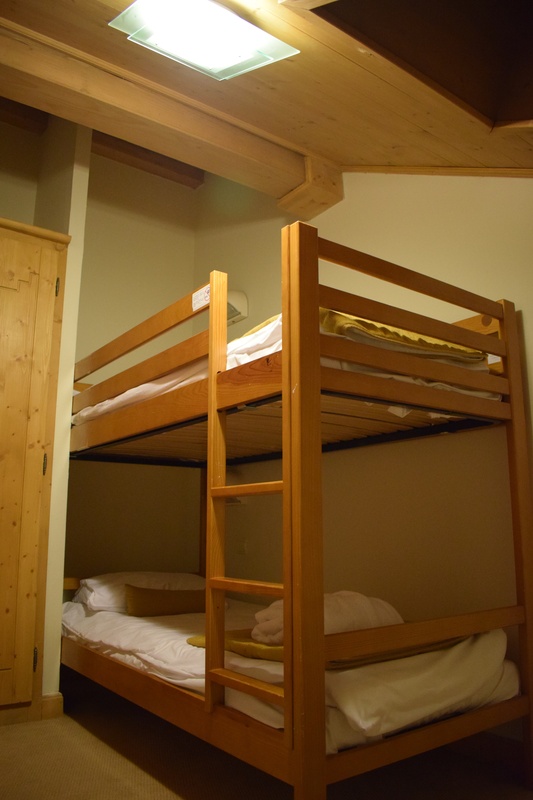 Our home sleeps up to 6 adults comfortably. 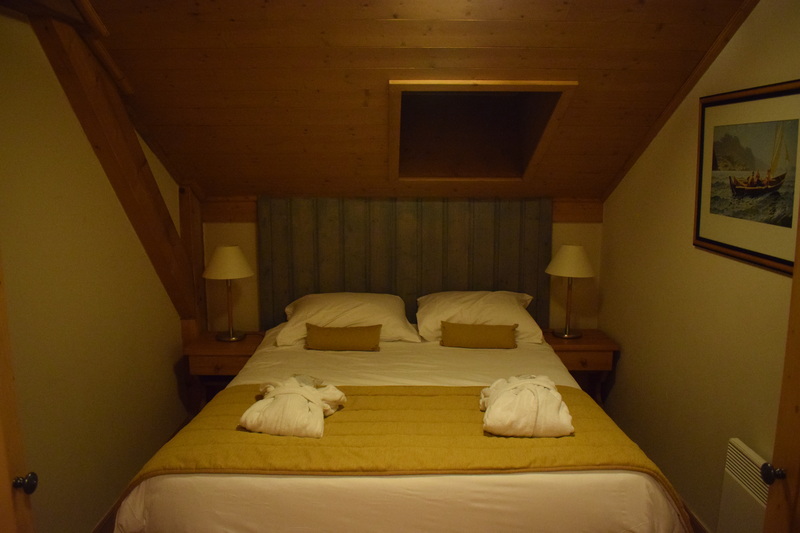 The master bedroom has a double bed for 2 people, the second bedroom has beds for 3 people: bunk beds (for two, ideal for children but fine for adults) with an extra single bed; whilst the living room has a comfy sofa bed for 2 people. 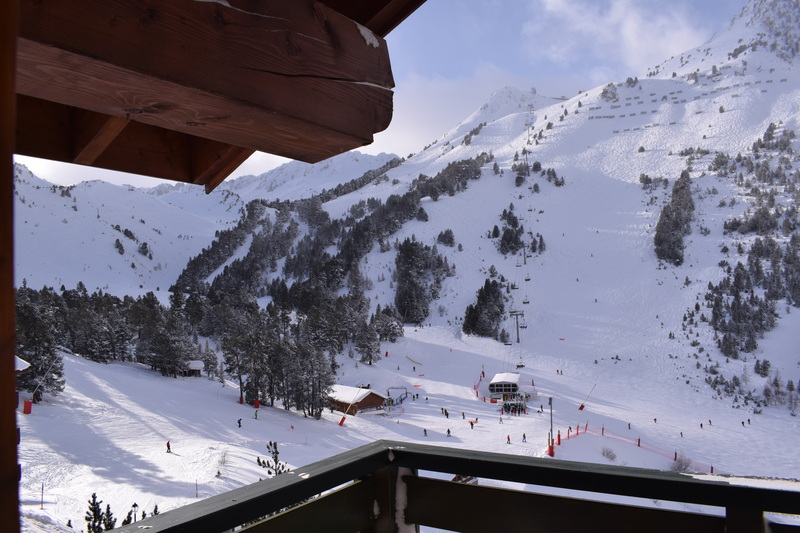 A secure ski locker by the reception can hold your skis, boards and boots allowing you to ski in and out: simply put on your skis as you leave the building and ski straight into the wonderful Paradiski ski area of Les Arcs and la Plagne. 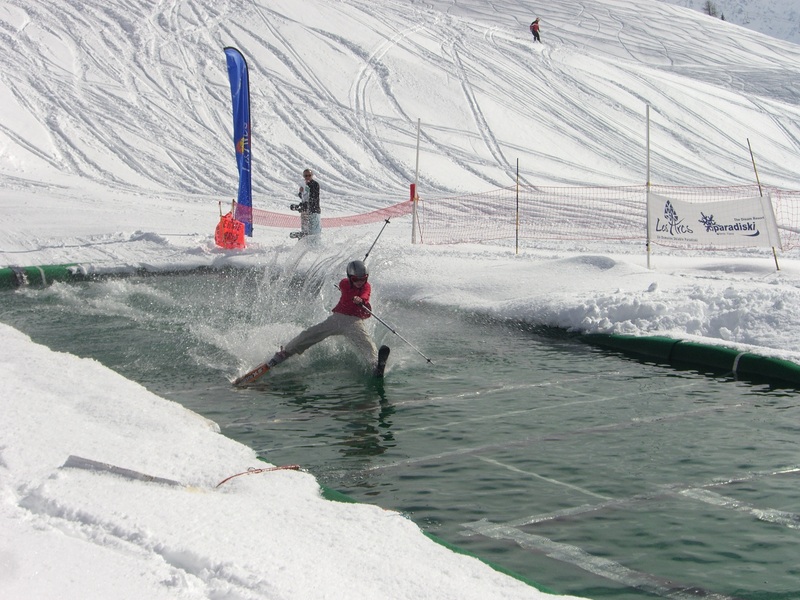 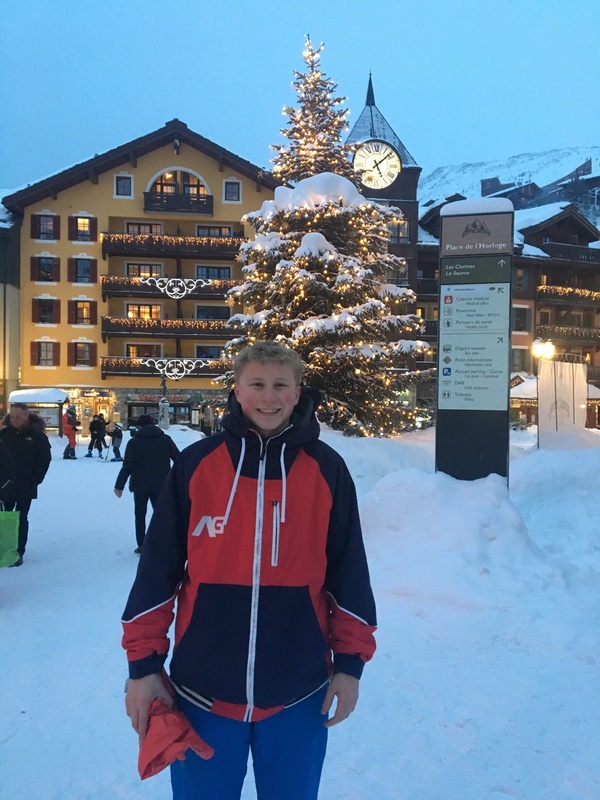 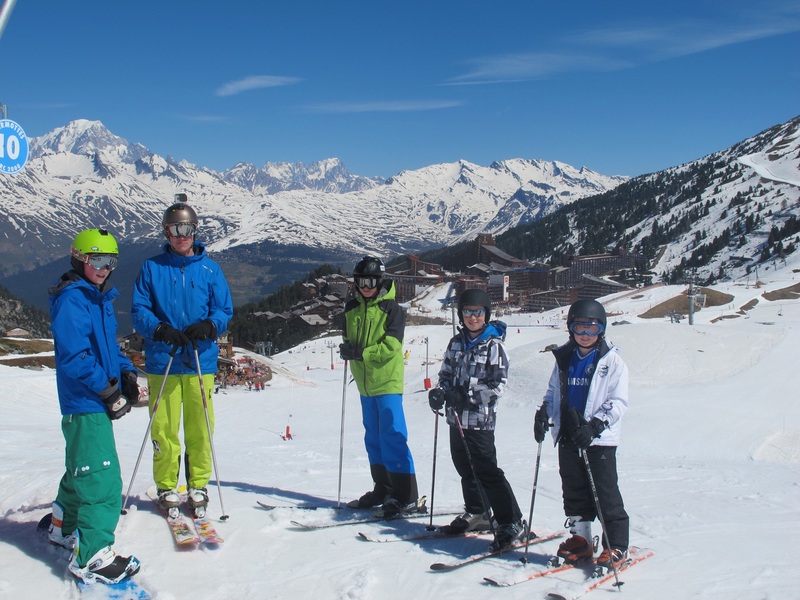 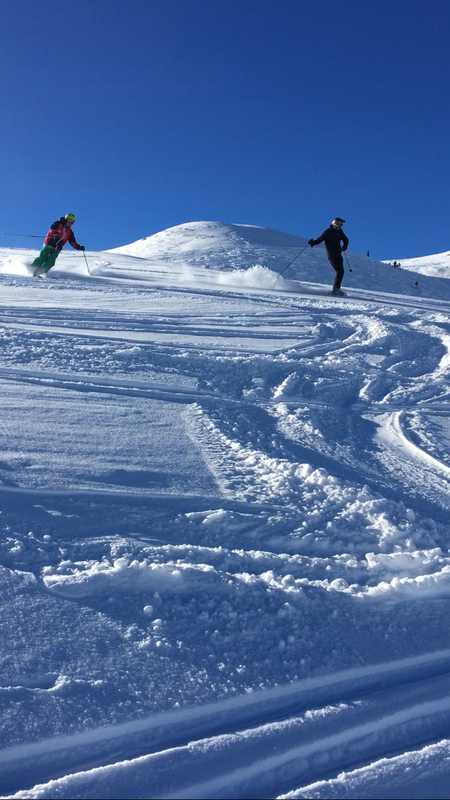 Ski school and ski hire are only a few metres away – very convenient for families and experts alike. 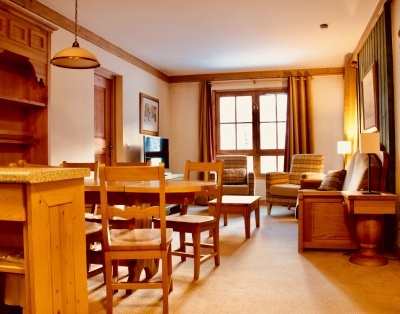 The Spa “Deep Nature” with indoor pool, sauna, steam room and treatments is located in the same building – a wonderful place for you to relax after your day in the mountains. 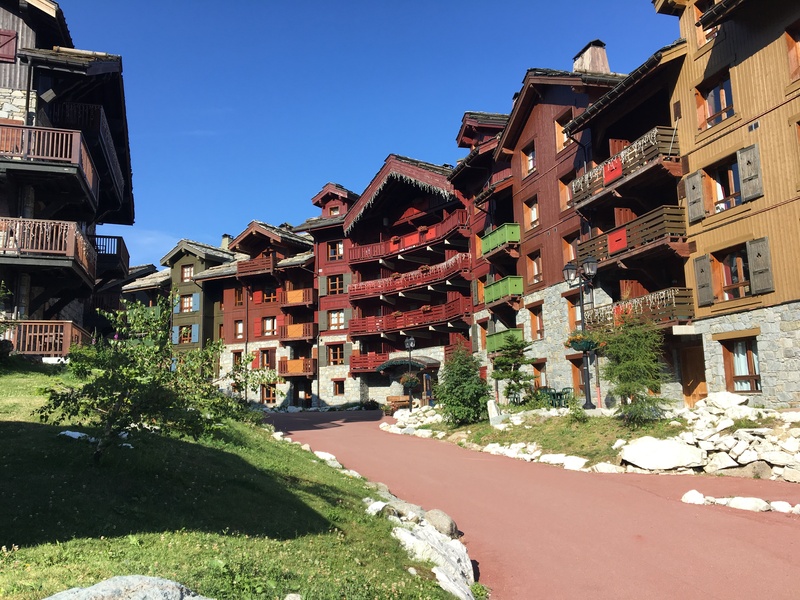 Les Arcs 1950, Le Village, is the most recent of the 4 villages in Les Arcs. 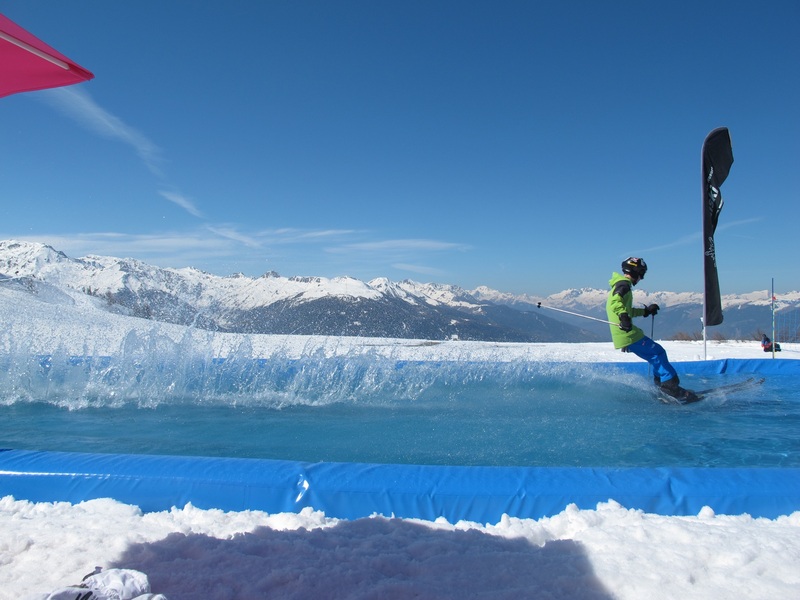 At 1950 metres, it is a high-altitude, car-free village with many bars, restaurants, shops and activities for everyone, whether skiing or snow boarding in the Winter or walking or mountain biking in the Summer. 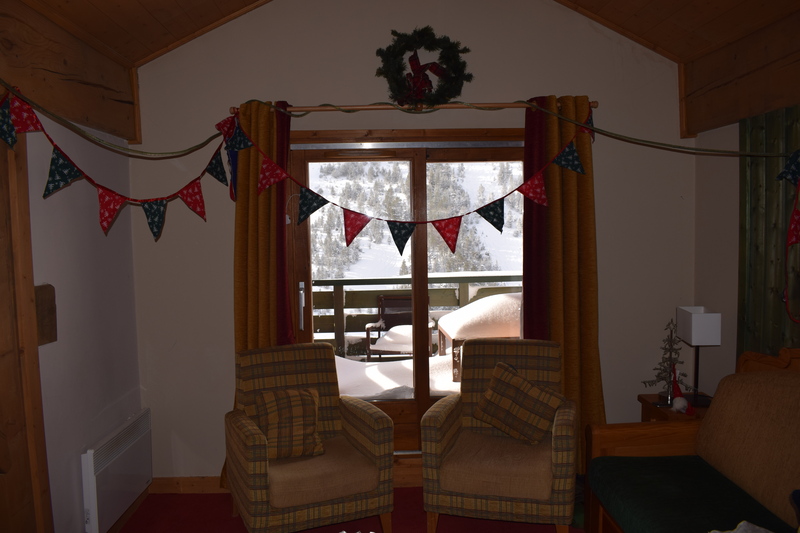 We hope you enjoy your stay as much as we do!